We’ve all been there: One episode of the latest must-watch true crime series rolls into the next and, before you know it, it’s 1 a.m. on a work night and you’ve binged the whole box set. While you might be riding an adrenalin high right now, come morning you’ll likely be greeted with a less than ideal combination of extreme tiredness and lacklustre skin. For me, it’s my eyes that really give the game away when it comes to late nights. Although I don’t suffer too badly with dark circles, it’s puffy, swollen under-eyes that I’m left to battle come morning. But what actually causes them and how can you combat them quickly? I asked some beauty industry experts for their advice and headed to Instagram to find out how the cool girls tackle theirs. I must admit that as a serial side sleeper, I think I’d be willing to take the puffy eyes over an uncomfortable night’s sleep. But if there was a big event coming up where I’d want to look particularly fresh-faced, then I’d definitely consider giving it a go. And it’s not just the lack of sleep linked to a late night that can lead to puffiness. If you’ve been up in front of the TV or out with friends, then any consumption of alcohol or salty foods can also have an effect. Yes, it seems that puffy eyes want to ruin all of our fun. “Lifestyle tips for reducing eyelid puffiness include getting sufficient sleep, drinking enough water [and] cutting down on salt and alcohol,” consultant dermatologist Justine Kluk tells us. “These culprits lead to water retention, exacerbate swelling and reduce circulation,” says Zamani. So, next time you’re up late, skip the crisps and wine to increase your chances of waking up bright-eyed. But what if, like me, you already know that you’re going to fail to take heed of all of this genuinely useful advice? There’s one trick that you can use come morning that will de-puff your eyes in minutes and won’t cost you a thing: ice. Yes, before there were jade rollers and bio-cellulose eye masks, there was water. And when you chuck water in the freezer before you go to bed, it becomes the ultimate cure for puffy under-eyes and late-night regret. We first spotted influencer Courtney Trop, our Instagram beauty and style inspiration, taking to Instagram ahead of big events to rub an ice cube all over her face. Instantly refreshing, it works to reduce inflammation, minimise pores, calm breakouts and boost glow. Similarly, wrapping the ice cube inside a muslin cloth will give you the same calming and de-puffing results with a little less of the harsh chill. In the market for something a little fancier than frozen water? Keep scrolling to shop my favourite de-puffing beauty buys. This is an elevated yet still affordable take on the ice cube trick. Leave this to chill in your fridge for 30 minutes (or overnight, if you’re organised), and then pop it on when puffiness strikes. In my opinion, these are some of the best eye masks on the market. They tighten, brighten and hydrate your under-eyes with a potent blend of hyaluronic acid, chlorella and plankton extract. Fans of the iconic Estée Lauder hyaluronic acid–based serum will love these targeted treatments. They leave your eyes feeling cool and refreshed (even if they haven’t been stored in the fridge), plus they only take 10 minutes to work. A step up from the classic cucumber-over-the-eyes trick, these gel patches are enriched with cucumber extract to naturally detoxify and de-puff your skin. This formula alone would be enough to calm puffy under-eyes with energising caffeine and hydrating red algae. However, the real star of the show is its vibrating metal applicator. Yes, really. The movement helps to stimulate blood flow, helping the products to work deeply into your skin. Fans of facial rollers will claim that they do everything from banishing breakouts to sculpting and lifting your entire face. What I do know is that when popped in the fridge for a few minutes and rolled over your skin, these things feel great. This one is slightly smaller in size, so it’s great for using specifically under your eyes. If you can’t go the whole hog and sleep on your back all night, then this 100% silk pillowcase will at least mean you don’t wake up with sheet creases on your face or puffy eyes. I’ve been testing this myself for the past couple of weeks and strangely think that my skin is looking a whole lot better for it. If you’re looking for a product to counteract the effects of dehydration, then this gel is like a drink of water for your under eyes. It uses matrixyl 3000 to boost your skin’s collagen levels to plump, soothe and calm any puffiness. You can use it around your lips to combat fine lines and dryness. 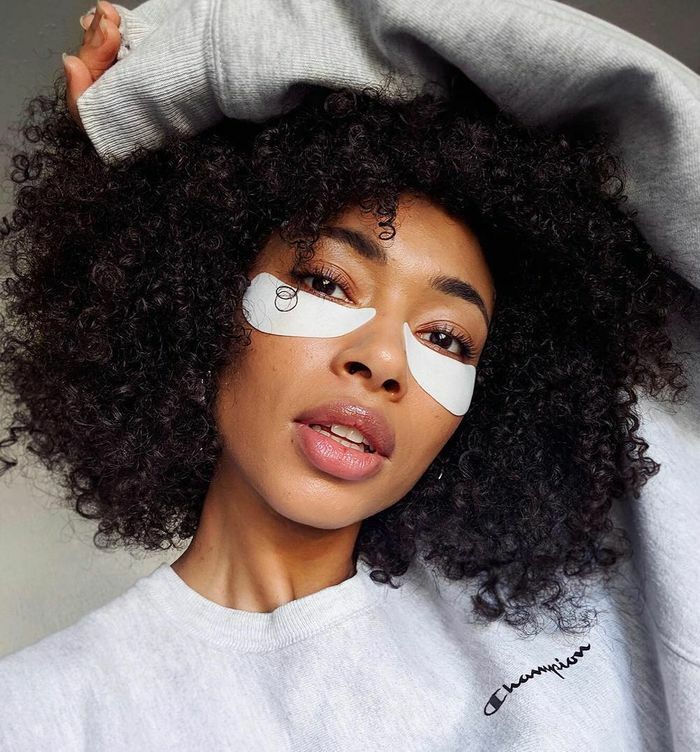 Coined as a quick-fix solution for the sleep-deprived, these are the masks to reach for when you need to fake a great night’s sleep quickly. The tube might be small, but what’s inside is mighty. I think of this as a shot of espresso for my eyes. As the packaging attests, it targets dark circles and tired, puffy eyes for an instantly bright-eyed effect. Massage just a couple of drops of this under your eyes in the morning to leave puffiness and dark circles at the door. A high-tech eye patch that targets fine lines, wrinkles and dark circles for a more luminous under-eye area. A great option for more mature skin types.